We are delighted to announce that our head coach, Sunil Birdy, has been selected as a finalist in the “Coach of the year” category. The BEDSAs were founded by Sporting Equals, an organisation working closely wth Sport England that is committed to promoting and encouraging ethnic diversity in sport. Previous winners of a BEDSA include Lewis Hamilton, Frank Bruno, Chris Powell, Ali Jawad and Jessica Ennis-Hill. 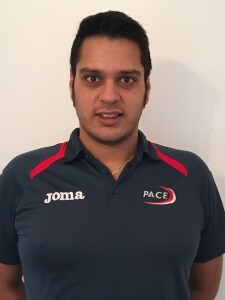 Sunil has coached the England boccia squad in the BC4 classification since 2015 and has overseen the development of international athletes who have gone on to claim medals at national and international level. As a well known and highly rated coach amongst the boccia community, Sunil has always adopted an athlete-centred approach in order to support the growth of his squad. Through PACE, his commitment to providing opportunities for other BAME (Black, asian and minority ethnic) athletes and disadvantaged groups have seen boccia services developed that reached out to over 1,400 people in 2016 alone. Competition for the BEDSA will be incredibly tough, with Chris Hughton (Brighton football manager) and Otis Gibson (England cricket bowling coach) both also up for the accolade. The award will be based on a public vote, so please support Sunil, share the news amongst your friends and register your vote on the BEDSA website. After voting, you’ll receive a verification email with a link to confirm your vote. I’m delighted to be nominated for such a prestigious award amongst some of the top coaches and athletes in the county. Coaching has allowed me to work with many people, of different faiths, cultures, races, genders and more. None of this makes any difference. There is only an athlete, a person striving to be the best they can. Best of luck to Sunil, please do vote now! Congratulations Sunil, another nomination you fully deserve for all the brilliant work you’re doing. WELL DONE! So true. Honesty and everything renciogzed.